Belgium, probably Ghent or Tournai, ca. 1460-1465. 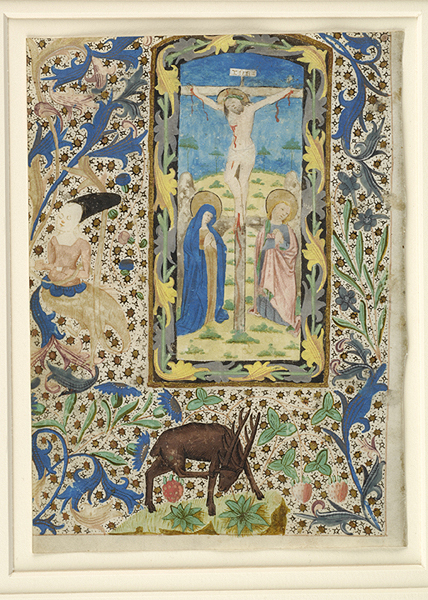 Former folios 7 and 88 of a book of hours, excised between 1994 and 1996; New York, private collection; Bruce Ferrini; gift of Jean-François Vilain and Roger S. Wieck in memory of Philip Hofer, 2006. Ms. book of hours single leaves; illuminated in Ghent or Tournai, Belgium, by an artist close to the Master of the Ghent Gradual, ca. 1460-1465. Sister leaf: London, Sotheby, 10 Dec. 1996, lot 30. Artist: follower of the Master of the Ghent Gradual.